Rejoice with us, this month Jesus Film Project has reached another milestone. Production of the 1700th classic “JESUS” film translation was completed. It is the Cheke Itolo language, for Solomon Islands people in the South Pacific. All glory goes to God! Still, the greatest days are ahead as we seek to dub “JESUS” into hundreds more languages so that all may see and hear. Would you please pray with us for the following needs from our Translation Production and Master Studio Dubbing Teams as we go forward? 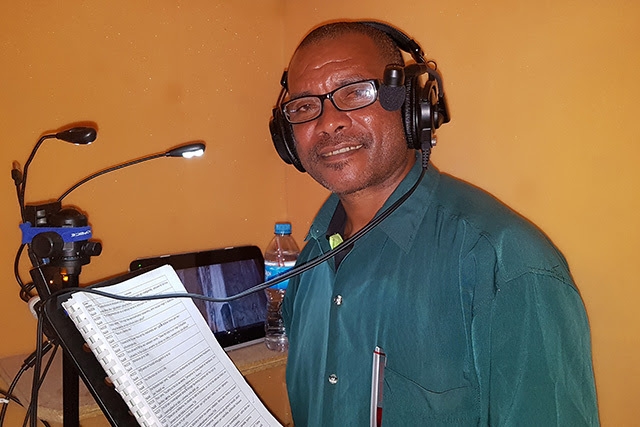 Lift up plans to record four Amazonian languages going in to the Scripting phase (November 2018), to be produced in February, and for the Scripting and Dubbing of eight more by end of August 2019. Pray for our Youth With a Mission (YWAM) associates who are preparing for a Script Workshop in the Solomon Islands during May 2019. Pray for the set-up trip in February and the workshop to proceed well in May. Pray for the completion of six East Asia Mission 865 (50,000+ speakers) languages in 2018. Pray for the provision of six Language Production Managers for five areas. Pray for God’s provision for funding of the “Walking With Jesus” discipleship film series and the production of new language translations of the film. Pray for production and implementation of a plan to complete 77 East Asia M865 languages by 2025. Thank you for your prayers, which are essential toward the goal of providing the message of Christ’s love to everyone, everywhere. To see how you can give to various Jesus Film projects, view our Gift Catalog.